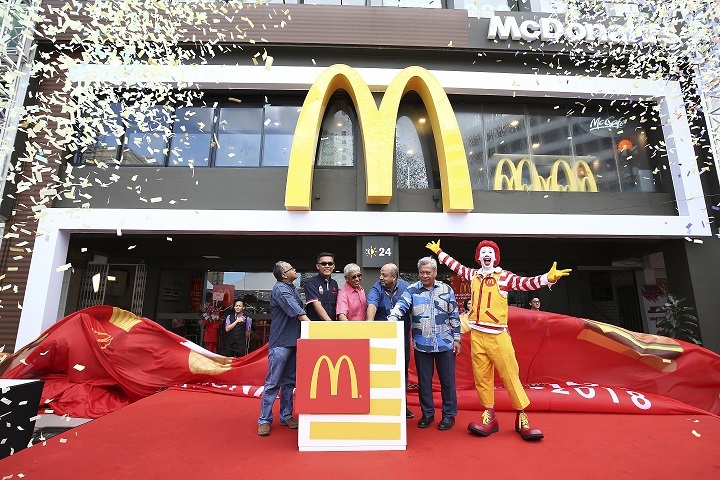 Unveiling of the Newly Remodeled, 1st McDonald’s in Sarawak! 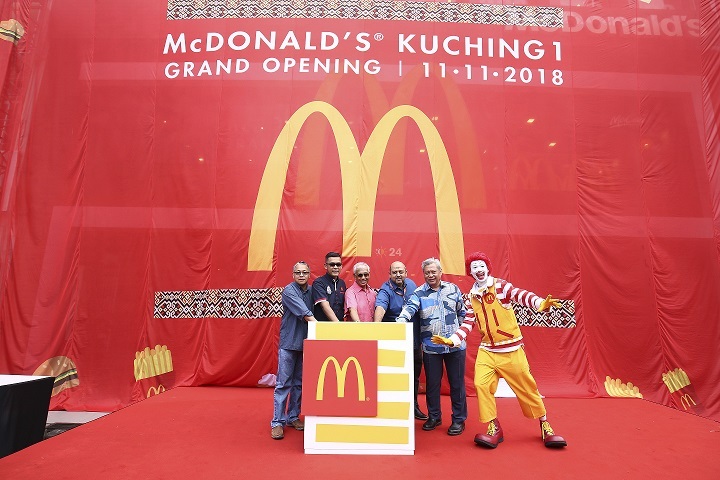 In celebration of its 25th anniversary in Sarawak, the 1st, all-time loved McDonald’s in Padungan Kuching is getting a fresh new look on 11 November 2018. In plans to bring modernize experience for customers, the restaurant incorporates self-service kiosks where customers can customize their meals, table services options where customers can have their food served to their tables, cashless transactions, digital menu boards, dual-point service counters which enables customers to pick their food when their order number flashes on screen and not forgetting, the most important; high speed WIFI connectivity! We bring to you the new remodelled McD Padungan! Datuk Haji Abang Abdul Wahap bin Haji Abang Julai, Mayor, Kuching North City Commission trying out the new self-ordering kiosk (SOK) during the grand opening of McDonald’s Padungan restaurant. 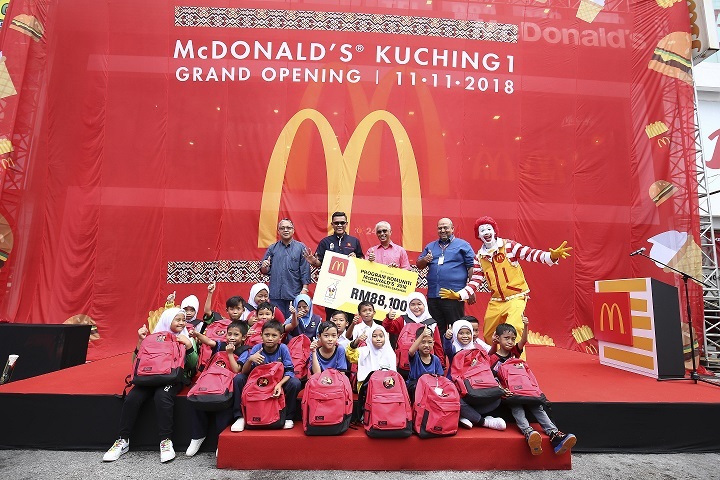 McDonald’s annual community event, spearheaded by McDonald’s Malaysia and Ronald McDonald House Charities (RMHC),‘Back-to-School’ programme was also held during the unveiling, seeing the handover of school packs to local primary school children. In collaboration with the Ministry of Education Malaysia, more than 880 primary school children from Sarawak will receive school packs for 2019 school session. Primary school children from Sarawak are recipients of the school packs that consist of 1 set of school uniform, 1 pair of school shoes, and a school bag. 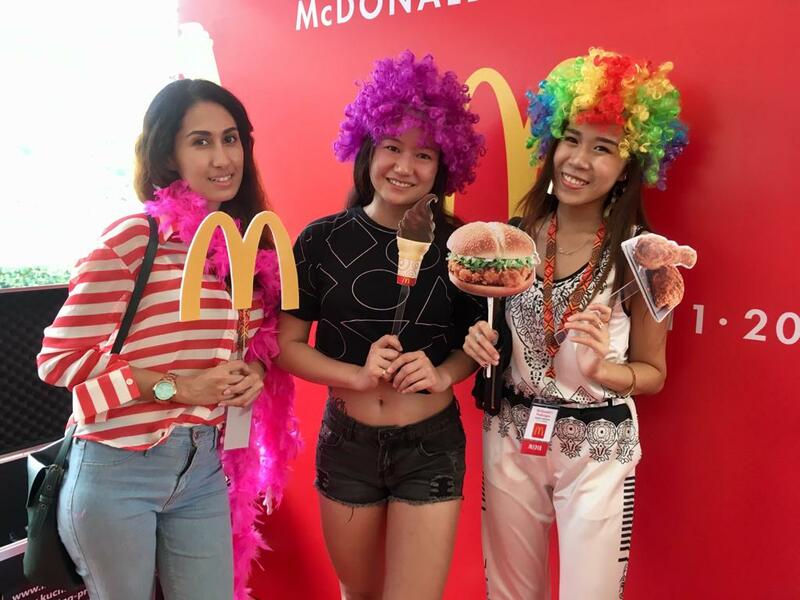 Sarawak Bloggers team trying out McD’s photobooth!